Hello! 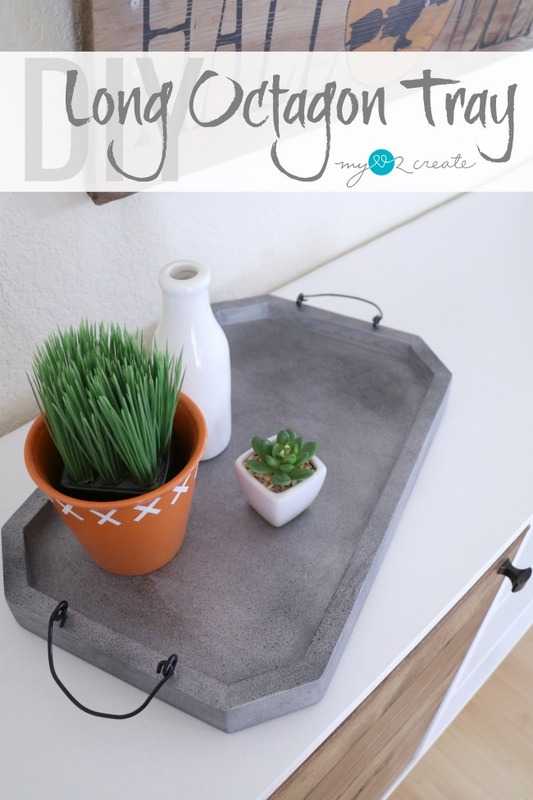 I am excited to share my Long Octagon Tray with you! 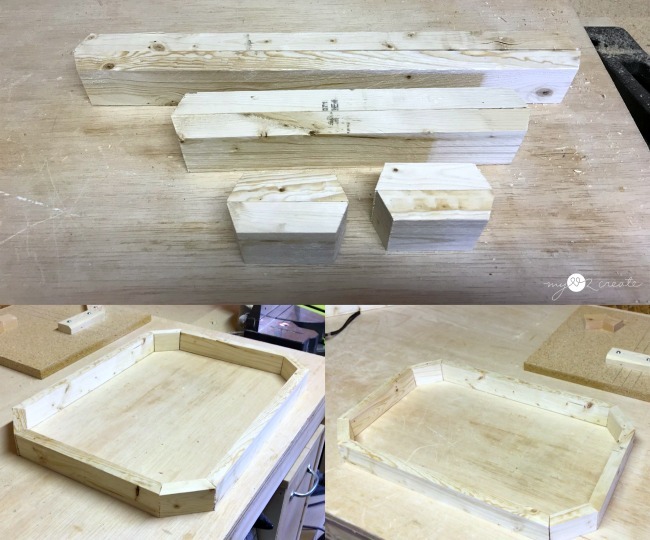 You know I love a good tray, and ever since I made my Long Hexagon Tray Plans, I have been itching to try a long octagon tray. 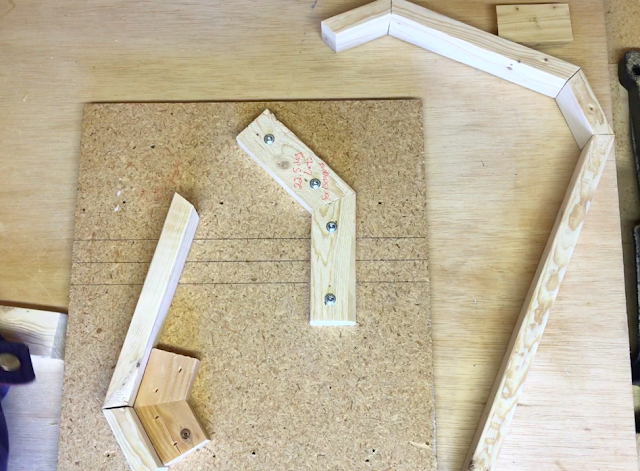 I also wanted to create an octagon jig to make the process easier and to have a jig for future octagon projects. So....when Sandra at Sawdustgirl.com asked if I wanted to be a part of her mentorship squad I was so excited! She is amazingly talented and someone I wouldn't miss an opportunity to learn from! 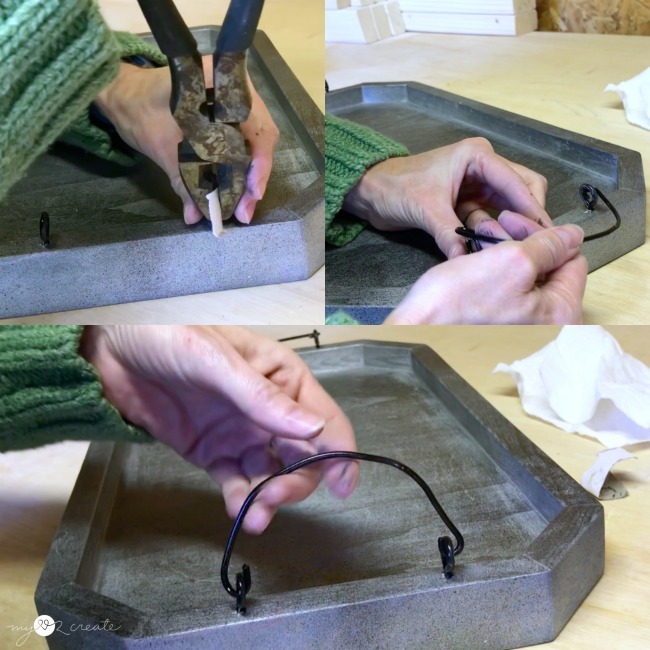 I will be sharing my tutorial for my Long Octagon Tray here on my blog and you can see the process of how I made the Octagon Jig on her blog. Let me tell you, sometimes projects go pretty smoothly (not perfect, but not always filled with a ton of issues) well this project was filled with issues...seriously. Now don't worry, the issues basically involved me not using my head...or something to that effect...so I am happy to report that I am going to teach you how to do it so you don't make the same mistakes I did! Yay! 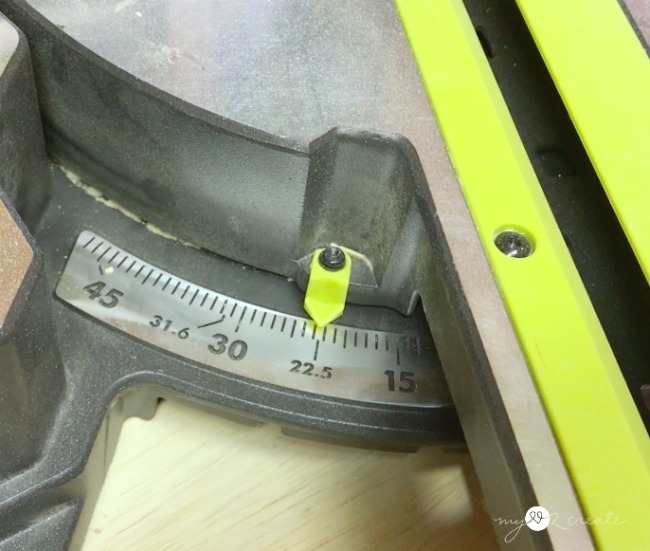 Set your Miter Saw to 22.5 degrees off square, this is the angle you need to cut at to create octagons. 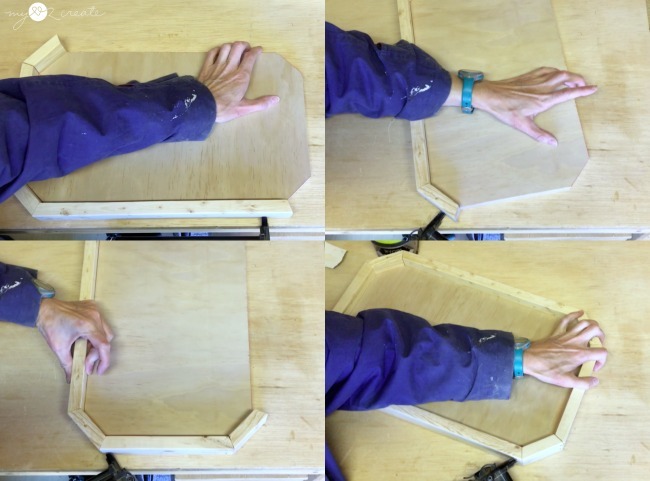 Then measure and cut your 1x2 tray sides to your desired sizes. You will need 4 small pieces (bottom right) all the same size. And two long pieces the same size (long sides) and two shorter pieces (ends) the same size. 8 pieces total=an octagon! Here is a shot of all my tray sides (top). I put the long sides together after I cut them to make sure they are the same length. In the bottom left photo I did a dry fit. This was my first cut and I honestly just guessed on the sizes. It was a little too square-ish for what I wanted so I cut down the two end pieces and ended up with a more rectangle-ish shape (bottom right). 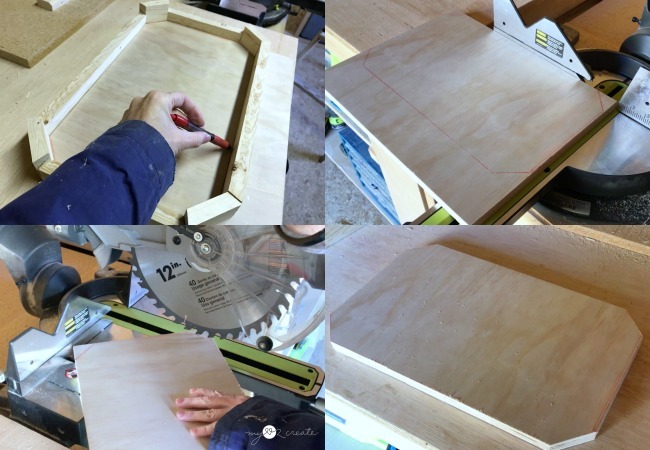 I used my miter saw to cut out my long octagon shaped tray bottom, you could use a Jig saw as well. With the bottom cut I did another dry fit. Now like I said above I had issues on this project...I was a little off on my tray bottom...but at this point I knew that I could fix it with wood filler. 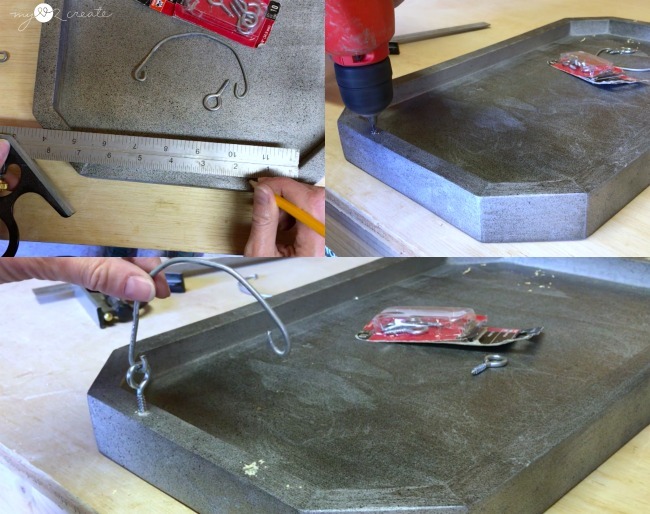 Now this is where you are going to want to visit my post on How to make and Octagon jig. And TRUST ME you will feel awesome about yourself after reading it, because I don't think I have ever make that many mistakes on a project before. 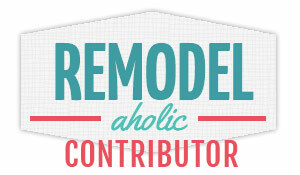 I make mistakes all the time, just not that many on one project. But, once I get my head in the right place, I got it all figured out, and show you how to do it without making MY mistakes! The above photo is about how far I got...and you will have to read the post to understand why. Because I had gotten so far, and cut all the wood, I wasn't about to let my mistakes stop me. If there is one thing I have learned when doing projects, things rarely go perfectly...so you keep working until you know it is total failure (they do happen) and chalk it up to a learning experience. This, however, wasn't a failure...just a struggle, and most of the time the case with projects, you can usually fix things. 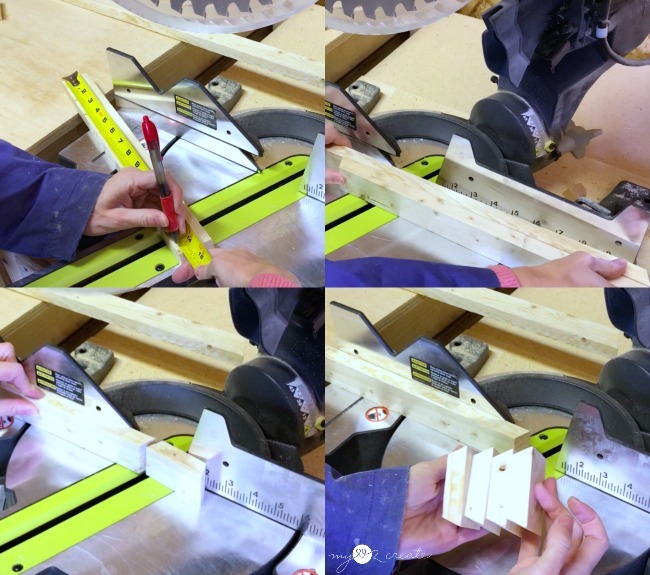 I had part of my octagon shaped sides built with the jig. I decided to just glue and nail them to the bottom anyway, despite the imperfections. 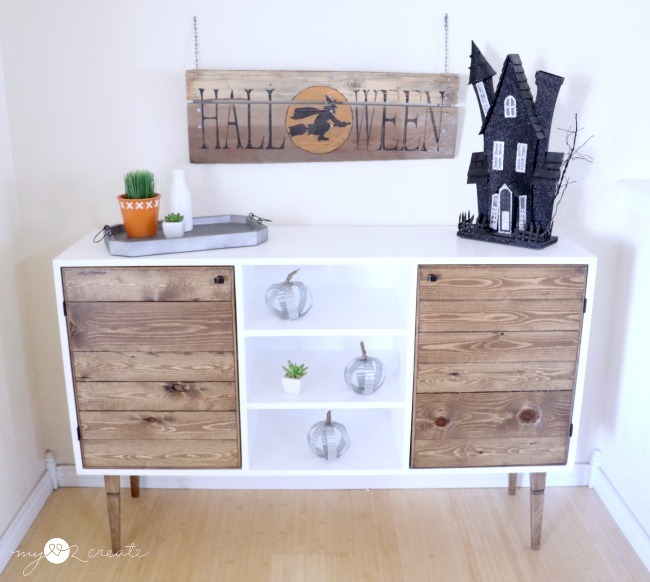 I used 1 1/4'' finish nails and attached the sides to the bottom piece, and then added the rest of the side pieces. Once they were attached to the bottom I went back and secured them at the corners. Now if I had been staining, and I hadn't had so many gaps, I would have just skipped filling the seams. But that wasn't the case, and in fact, I was out of wood filler. So my options at this point were to fill with spackle and paint. Not what I had planned, but I wanted to finish the project, not scrap it, so I worked with what I had. After the spackle dried I sanded it smooth. I had some metallic silver paint and so I tried a faux metal finish. 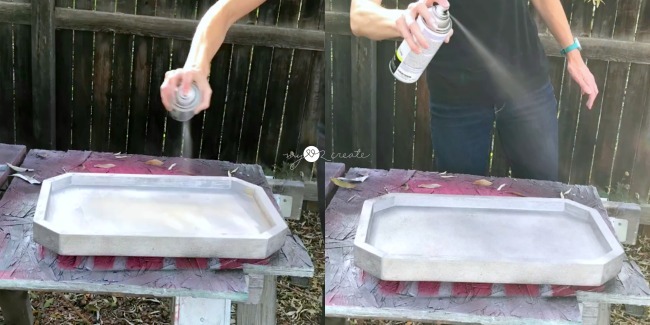 I sprayed the tray with the metallic silver, then used black spray paint (I would have used oil rubbed bronze, but I was out) to spray from far away (right photo) and very lightly...to give it more texture. 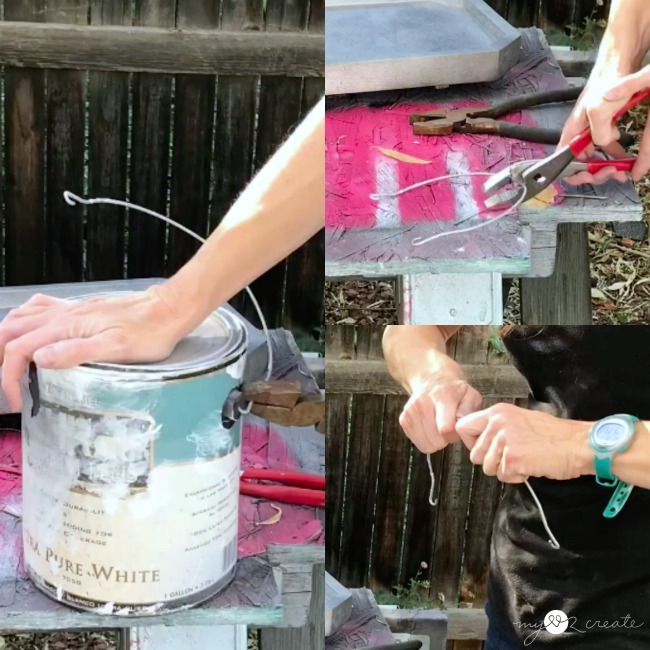 I used a similar technique on my Pottery Barn Knock off Clock. Because I went with the faux metal finish I was in the mood for some industrial handles. I also didn't want to buy any, because I am cheap. Remembering what I did on my DIY Coca-Cola Crate, I changed it up a bit and used the handle from an old paint can! Using some very rusty pilers, I wiggled out the wire handle from the paint can, then I tried to clip it in half with with the wire cutting part on another "less rusty" pair of pilers. It was too thick for me to cut all the way through, but after bending it a couple of times it snapped in half. Sa-weet! I grabbed some screw eyes that I had on hand, and marked for center on the ends of my long octagon tray, and pre-drilled some holes. I did a test run with one of them to see how the handles would work. I used the already bent end on the handles that was in the paint can, and used the pilers to bend the other side to try and match. I spray painted the screw eyes and the "new" handles and did not wait for them to dry completely. To attach the screw eyes, I used a paper towel (top left) to help protect the paint as I screwed them in with my rusty pilers. Then I attached the wire handles! They are kind of fun! 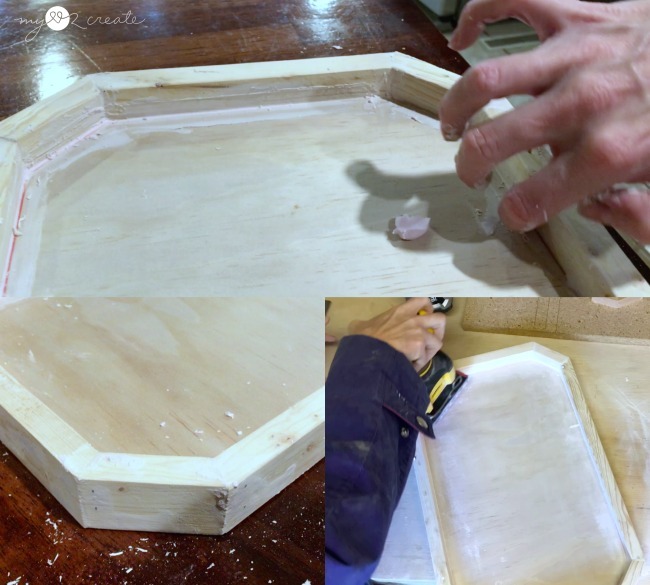 And that is how you Make a Long Octagon Tray! Phew! 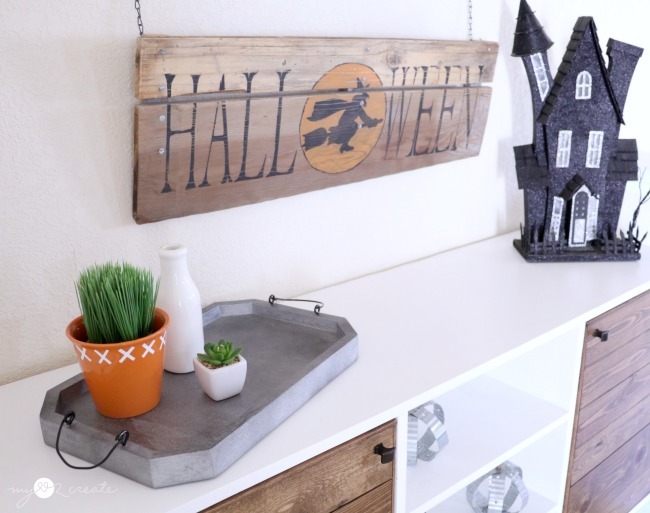 It is adding to my minimal Halloween Decor for this year, along with my Industrial Pumpkins and my Rustic DIY Halloween Sign, all on my Rustic Modern Buffet! I am so glad I didn't give up on this project! See... if you didn't know about the mistakes you would never know it was almost a fail!! 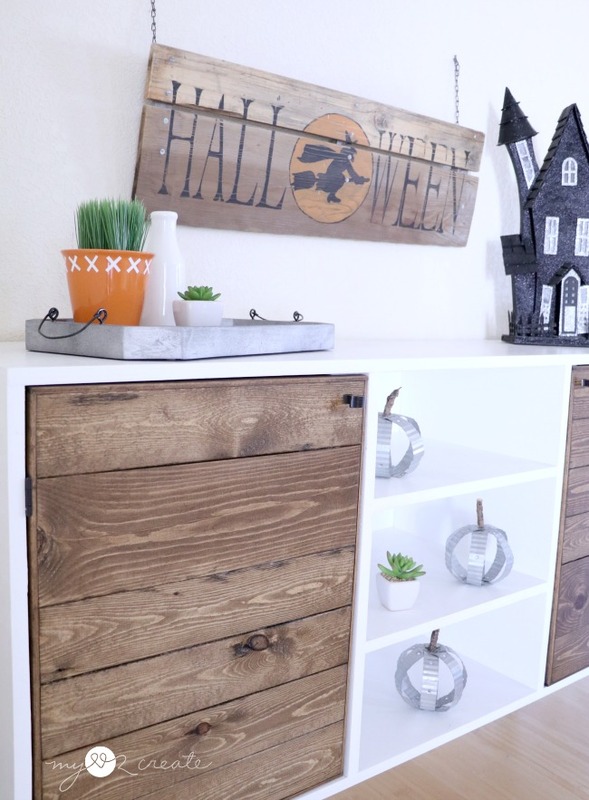 Plus, I never would have come up with these cool DIY Industrial Handles if I had quit! Now I can enjoy it, and feel good about overcoming my struggles...NEVER give up! Awesome! I thought it was concrete and kept looking to see how in the world... Soooo cool! You are right it does look like concrete! Ha ha! I didn't even notice! Thanks Sandra!! I thought it was as concrete also. 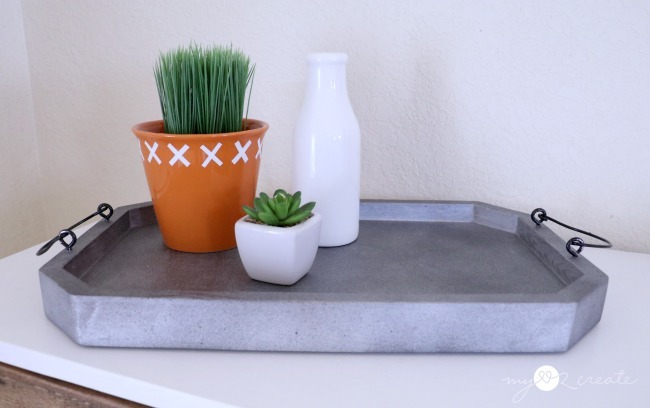 Good looking tray, great job. 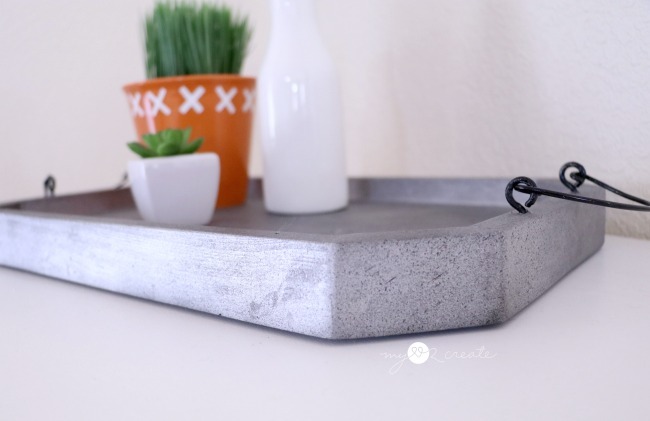 I love trays for corralling things and this is super cute Mindi! Thanks for sharing with SYC. Thanks Jann!! Yes trays are perfect for corralling!! 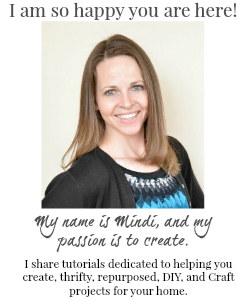 great job Mindi!! Your tray is beautiful! Thank you Gail!! This was one of "those" projects that nothing seemed to be going my way, but I am so happy it turned out in the end! Thanks for pinning! I hope it helps in your next octagon project!